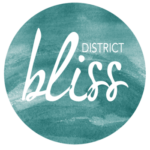 Create a structure to balance work and life while preventing burnout so you can be successful with District Bliss and Fit to Profit! Don’t forget a writing utensil and journal or notebook! Tell us about Fit to Profit! We teach leaders and entrepreneurs how to unlock their peak performance by being physically and mentally fit. We provide one-on-one and group coaching services. I wanted to find fulfillment in my work, use my talents that were given, and follow my purpose of transforming lives. I get to build deep relationships with my clients, and witness life transformations. I love leading small group retreats! Is there anything you’d like our readers to know? I love taking improv classes, dancing to Latin music, and watching stand-up comedy. MINDSPACE gives entrepreneurial-spirited members the freedom to thrive in a collaborative working environment dubbed a ‘co-working space.’ This type of office encompasses gathering a myriad of startups, freelancers, and businesses of all sizes under one roof in a shared environment, which promotes creativity, the creation of a community, and the sharing of ideas. Tailored to accommodate teams of all sizes, MINDSPACE offers flexible membership plans with options to be set up in either private offices or in shared creative workspaces. But it’s not restricted – your space grows as you grow. Working alongside a handful of other creatives will drive your early-stage venture forward, and MINDSPACE will be there to help you learn and grow (both physically and spiritually), through professional guidance and access to membership benefits and community events. Get Fit to Profit! RSVP here!